Selling a house on an urgent notice can is often unforeseen. It could be unexpected family heritage that you can’t maintenance nor keep, to or a property that has to go fast. If you’ve finally sold your house, it means that all of those late night calls & emails from your estate agent or ‘we buy any house’ company have finally paid off! Moving on, is it really is possible for you to be pretty much done and dusted with the move in 24 hours or less? Yes! But it can be a very stressful and time consuming job which will require some hard work, however, if you follow the 7 steps below, at Junk Bunk we’re sure they will make the whole process faster and easier for you to manage! What date is it? Are there any holidays in near proximity as of today? People often neglect the fact, that the homeowner is the one to be pleased at a property deal. If circumstances alter, you could opt in for a day or two extra, as long as you don’t bring that up in the very last moment. Keep calm and pack wisely. Look out for busy working days like Fridays or bank holidays because most of the removal companies tend to be fully booked or closed on these days. Instead, pick an ‘off peak’ day when you know everything will be less busier. Otherwise, you’ll risk ending up stuck, hindered or even worst – unable to and out of options. This is where you can draw the line between using reputable property cash buyers like House Buyers 4u comes with a set of benefits and guarantees for a hassle and effort free property sale. Get up early to get a headstart. A good night sleep is crucial to your move. If unrest, you might case a mistake or fail to spot the red flag of a disaster. Fragile possessions are a difficult to wrap. Hope you had at least a few days in advance. Packing fragile household items is delicate matter and you could end up caught in the middle. If push comes to shove, improvise with blankets or curtains. Another options is to wrap with clothing instead of bubble wrap and thus minimise the overall volume of your luggage. Build a “check your labels” routine. Setting aside a bit of extra time to check labelling can be a life-saver. Once you arrive at your new location unpacking all your belongings at once could throw you in havoc. The clever way to go about labeling is to label boxes by room. If you have an office just write “the office“ on the box along with a short list of contents. That’s how you can help yourself jog your memory as your organise which boxes to unpack first. Place the labels on top and side of boxes. so you can tell which box goes where even when their stacked up. Double check if everything is properly packed. This one is fairly straightforward but being lazy might cost you extra. You’re not only supposed to be fully packed prior to the arrival of a professional removal team. If you’re unwilling to cover the cost of packing, a call out charge might apply. Imagine turning up to your new residence and after scouring every box it turns out you’re missing your partners favourite tea set! Not a pleasant thought I know. In addition to checking everything, aim to try to have everything packed before your moving firm/friends or family arrive. This will make things move along quicker and also show your friends and family who’ve taken time out their day to come help you that you’re ready to go and appreciate their help. Is all correspondence is set to your new address? As silly as this sounds, many forget to set the right address to all future correspondence. This simple mistake could cost you valuable and time-sensitive information address directly to you. Utility bills, phone bills and the TV are of course a must but don’t forget things like credit cards, bank statements, magazine subscriptions, loyalty cards and anything else that you are signed up via mail. “Truth is, people always forget. The most stressing of fortunes was a package with specific medications the magnitude of which we fully realised only when getting in touch with the previous owner” says Tom Davies, co-founder of Accelerate Homes (UK). 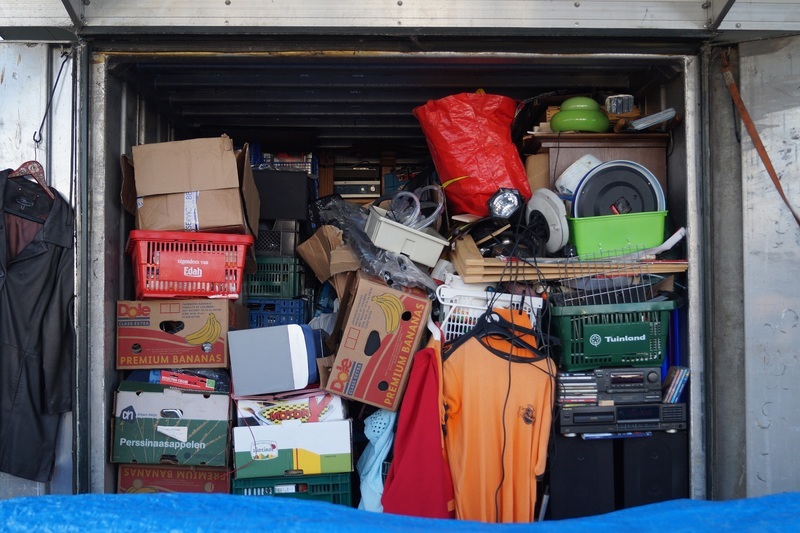 Why Junk Bunk is the right rubbish removals company to hire. The last thing you want is some ‘cowboy man in a van’ to arrive an hour or two late in a 4×4 hoping to fit a sofa in. You don’t need to go online for other quotes from and waste the next precious hour of your time. You can call in at Junk Bunk 24/7 with same day availability. You can also install our app Junk Bunk – 24/7 Removals – iTunes App Store. Take a look at our other services and benefit from booking multiple services. We can handle anything from furniture disposal like how to take a sofa out all the way to high-end jobs like how to dispose of a fridge freezer appropriately (as part of our white goods disposal service) and less difficult tasks like disposing of a mattress. Although when time comes to clean your home for the last time, buying a carpet cleaner and DIY is your prerogative, but you should carefully evaluate if taking the time to handle last minute cleaning yourself is actually reasonable, unless you have a team of friends and family to help out. Get all the house keys together. Did you made extra copies? Neither any neighbours, family or friends? Gather all the keys to the house and then hand them over to your estate agent or solicitor who will handle the property from there on. That just about wraps up our 7 step process on how you can making moving out your home easier! We hope that our article has provided you with the information you need to make this process as seamless as possible. In case you’re terrible at time management, do not hesitate and book your house clearance and leave the hassle and nerves aside. Happy Spring and happy Moving!